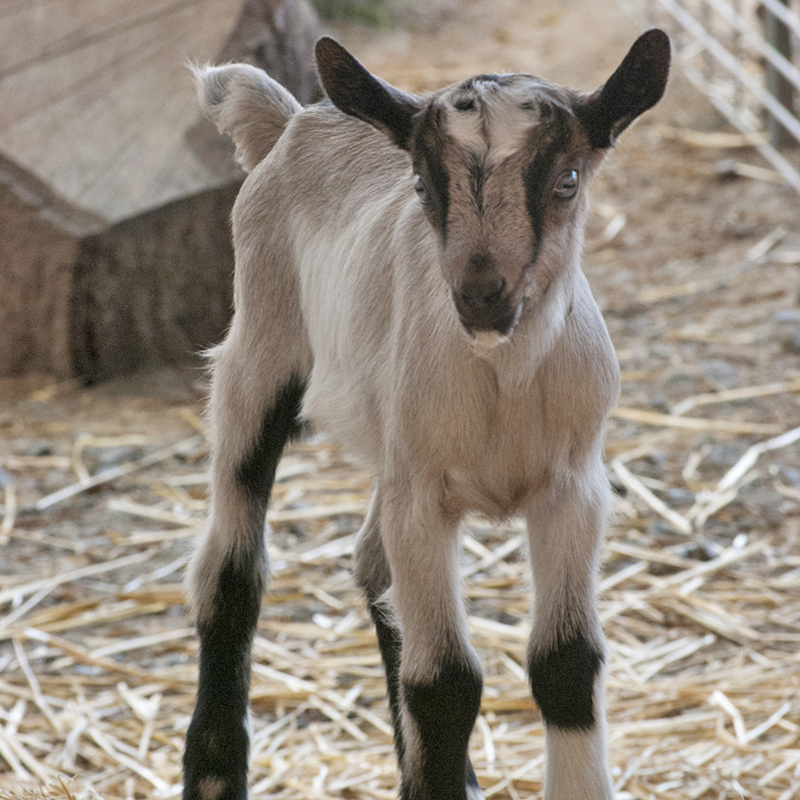 The Redwood Hill Farm Alpine goat herd started in the 1960’s when the Bice family bought the Mari-Jo herd and dairy. These Alpines were purebred, but not registered, so we began the process of grading them up and this is a big reason why the Redwood Hill Alpine goat herd has always been predominately American. Laurelwood Acres Class is the first buck we purchased and helped put Redwood Hill Farm on the map in the early 70’s. He had 9 permanent champion offspring including the great buck- Redwood Hills Classic Example. The Alpines have traditionally been the biggest breed by numbers at Redwood Hill Farm due to their hardiness and great will to milk. We are extremely proud of the success of our Alpine goat herd in the show ring, both here in the always competitive Northern California show circuit, as well as at the national level. At American Dairy Goat Association (ADGA) National Shows we’ve been thrilled to have 1st Place Dairy Herd and Best 3 Females in 1986, 1987, 1988, 1989, 1990, 1991, 1999, 2005, 2007, 2009, 2010, and 2012. In 2015 we were awarded Best 3 Females at the National Show in Redmond. Since 2005, we have attended six National Shows and have been awarded either the National Champion and/or Reserve National Champion each time.